Have you been longing to sail Indonesia, but you’re not sure about doing it alone? 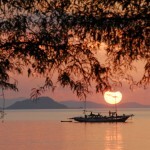 Join the Sail 2 Indonesia Yacht Rally from Queensland, and cruise the Spice Islands in company. The inaugural Sail 2 Indonesia Rally took place in 2014. 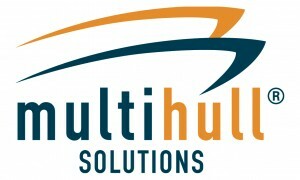 In 2015 Multihull Solutions joined as main sponsor for the second running of the event and the Multihull Solutions Wonderful Sail 2 Indonesia Rally became an annual event. For 2019 we have new rally partners with Down Under Rally coming aboard and a small name change to The Multihull Solutions Go North – Sail 2 Indonesia Rally. Spaces for the 2019 event are limited , so make sure you register early, or for more information email Rally Admin. Provide those who are heading to SE Asia with a professional and informative introduction to Indonesia. Ensure participants receive current and accurate information before departing. Provide professional support while in Indonesia. To streamline the documentation for entry and exit. Facilitate initial visa application and subsequent renewals. The Go North Sail 2 Indonesia Rally is all about choice! Not a ‘rally person’? – No worries ! No matter your level of involvement you can still get the benefits and savings associated with being part of the rally. The Sail 2 Indonesia Rally is open to all vessels, power or sail, mono or multi from 9m to 18m departing from the SW Pacific, Australia or PNG. You choose where you arrive. The Sail 2 Indonesia Rally offers two rally choices. 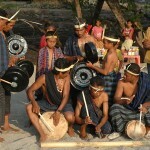 A full on fun, festival, planed itinerary rally arriving in Indonesia at Debut in the Kai Islands. A free, independent cruise with all the support, some route suggestions with some of the top spots, but with the itinerary up to you with a choice of arrival ports. Click HERE for more info on Arrival Ports and rally options. Click the link below to register your interest for the 2019 Sail 2 Indonesia Rally, it’s that simple. No payment required, you don’t need to decide on anything – yet! By submitting an Expression of Interest (EOI) you are in the priority list for next year’s rally, yes, numbers are limited. You’ll also receive regular updates and information relating to next year that’s exclusive to participants only, that’s you!